This statistic shows the main information sources used to find freelance work in the United States in 2018. 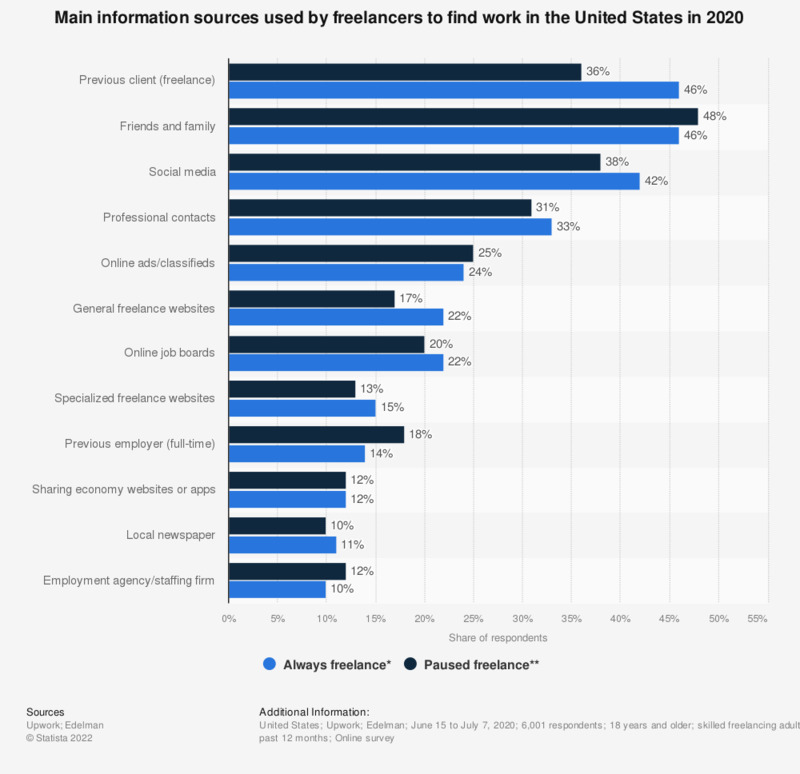 About 46 percent of respondents stated their friends and family as a main information source to find freelance work in the United States in 2018. Respondents were asked to indicate the options that applied to them in response to the question "Where do you typically go to find freelance work?" How do you learn about new video games? Where do you get your information about what light bulbs to purchase?